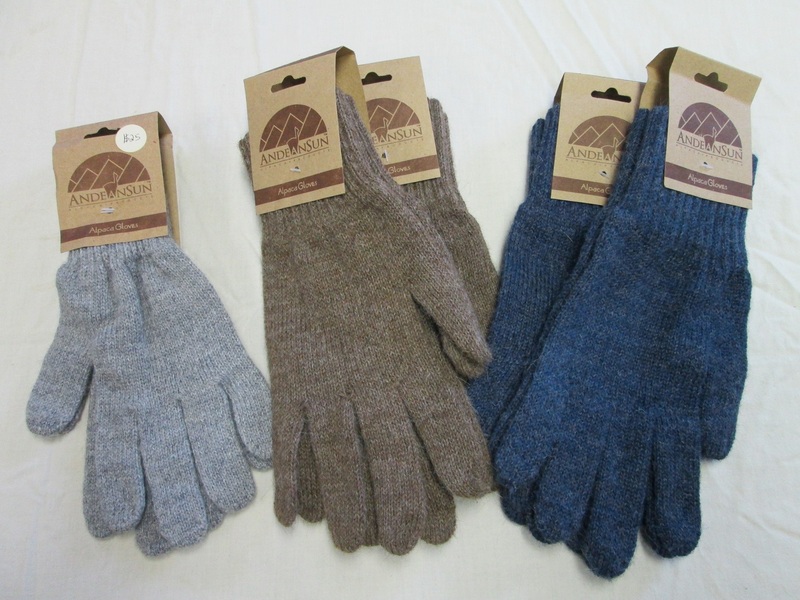 Imported from Peru, these gloves feature a blend of 90% alpaca, 7% lycra and 3% nylon. 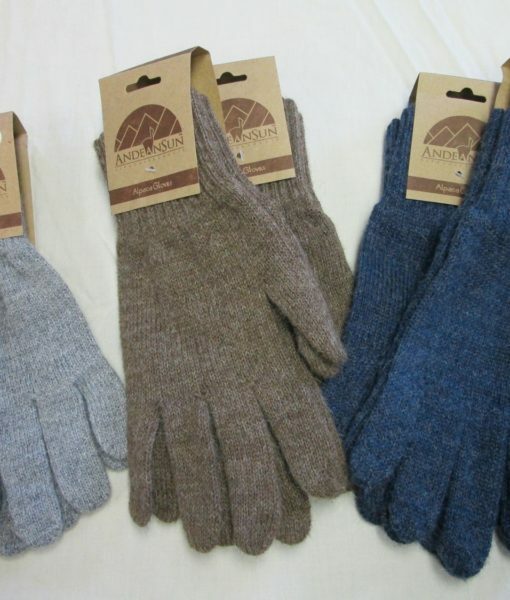 They are nice and stretchy and are great for active individuals or those wanting more dexterity than mittens can offer. Color is brown.